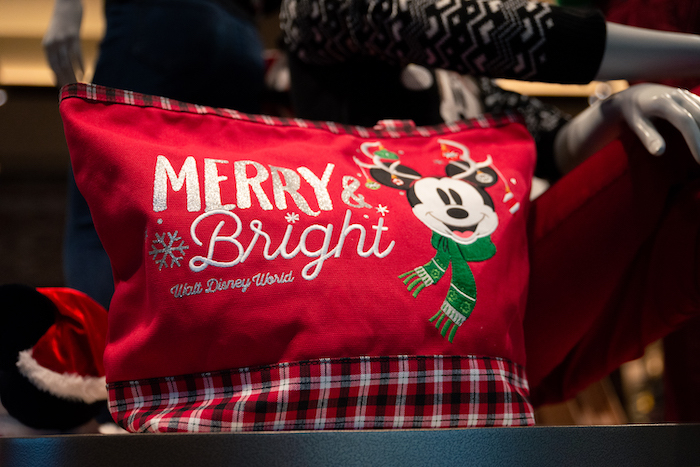 Let’s take a peek at the new holiday merchandise that was revealed at World of Disney last week! 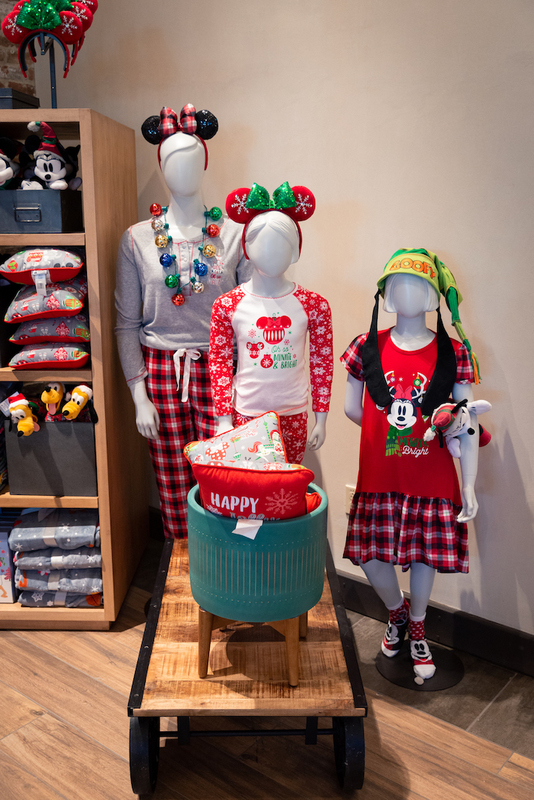 New holiday merchandise display at World of Disney. Photo by Courtney Reynolds. 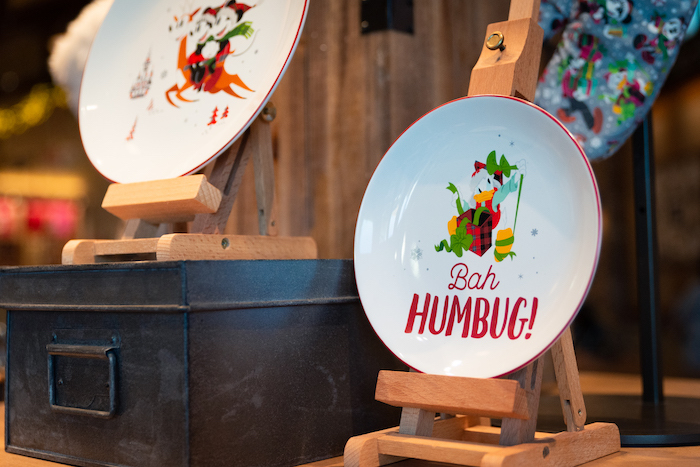 Last week we had the opportunity to get a first look at the new holiday merchandise at World of Disney. We would like to thank Disney again for inviting us to this special preview! 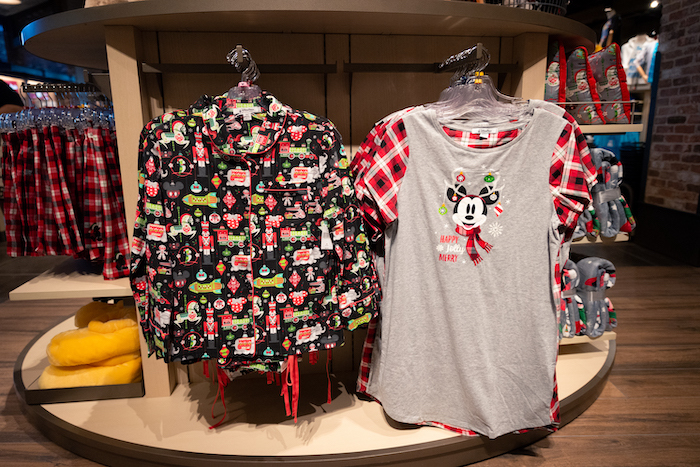 You may have seen a recent blog post about the new Mickey Mouse Club merchandise and store renovations that debuted last week – If you missed that post, click here! 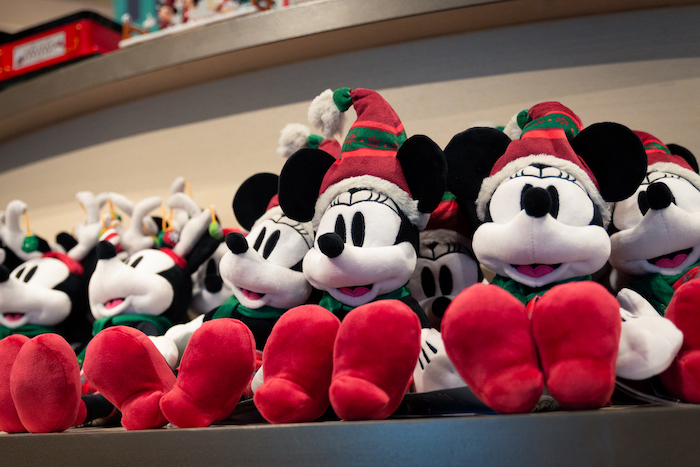 This post will be specifically about the holiday merchandise that debuted. Let’s dive in! 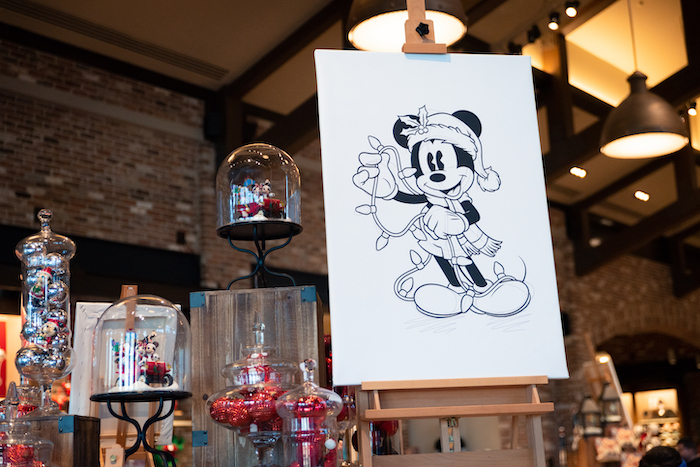 New holiday décor at World of Disney. Photo by Courtney Reynolds. Keep in mind, the store hasn’t officially “come to life” yet. We expect to see more magic unveiled at the Grand Reveal on October 27th! Take this display, for example. That blank wall behind the castle is sure to have something magical in store. Projections, perhaps? 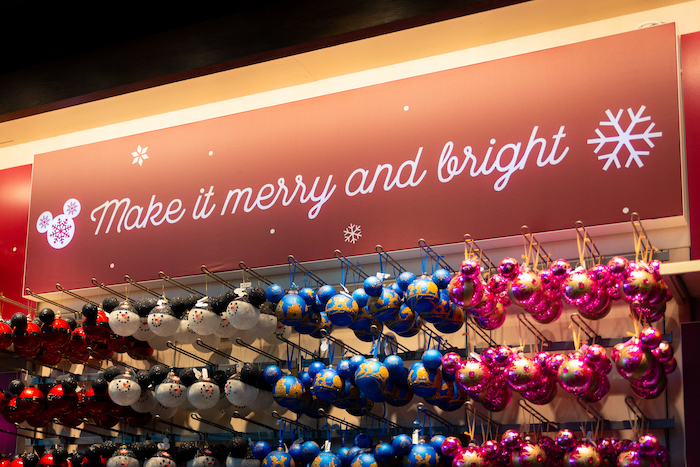 New holiday signage at World of Disney. Photo by Courtney Reynolds. 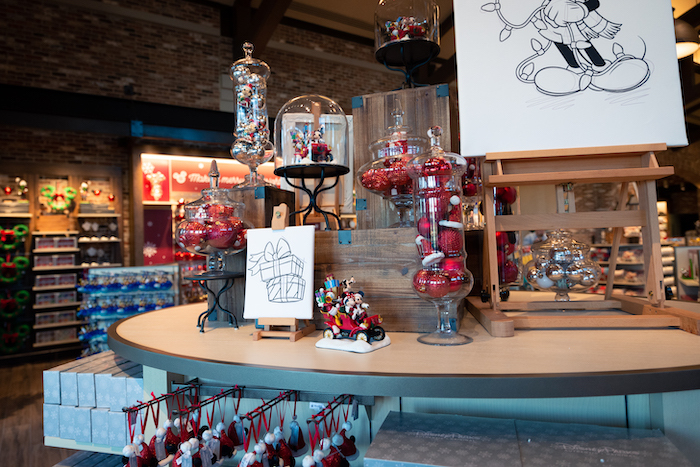 You’ll find holiday-themed signage and merchandise displays all around the room. You can’t tell from the photos, but some of them incorporate projections and moving spotlights to add a bit of liveliness. 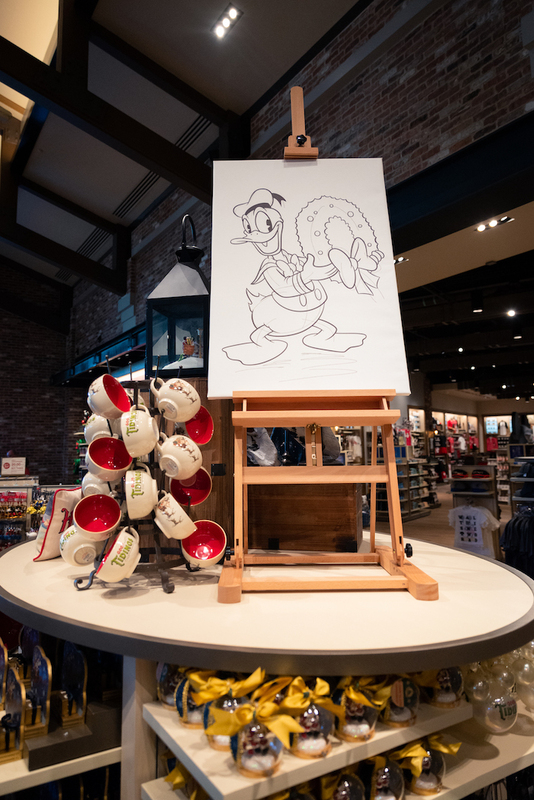 In our previous blog post, I mentioned that the story behind the newly redesigned store is that it’s housed in a repurposed animation studio, which is why you’ll see many art easels throughout the merchandise displays. This year’s holiday merchandise theme is “Nordic Winter” and you’ll see this theme throughout a lot of the new merchandise. The illustration style goes perfect on kitchenware! 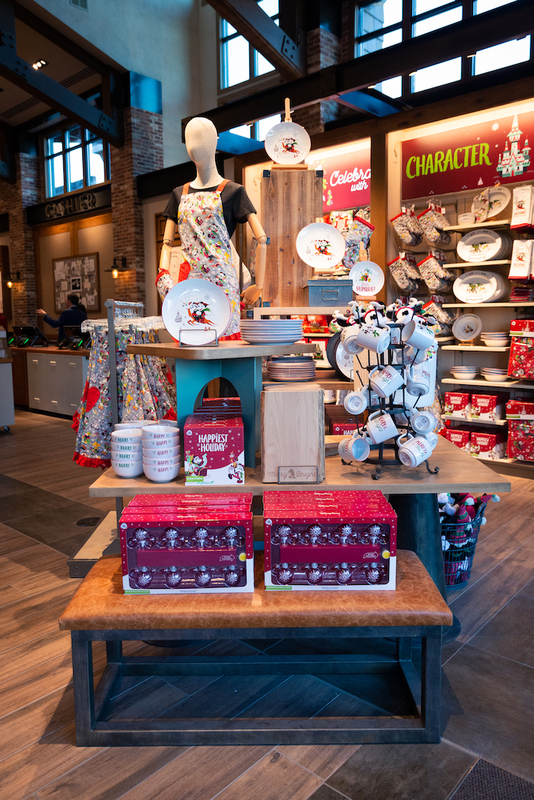 Holiday kitchenware display at World of Disney. Photo by Courtney Reynolds. 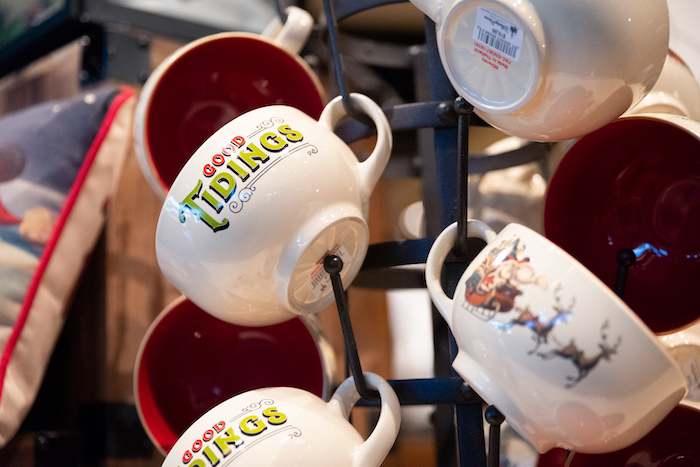 Holiday mug display at World of Disney. Photo by Courtney Reynolds. 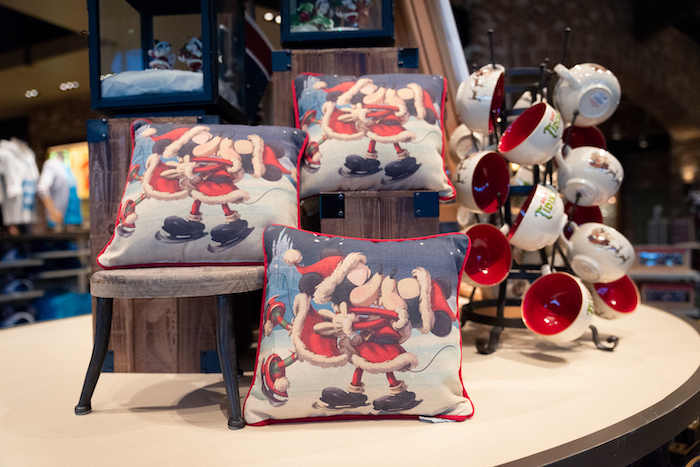 The holiday home décor and plush also draw inspiration from the “Nordic Winter” theme! Holiday home décor display at World of Disney. Photo by Courtney Reynolds. 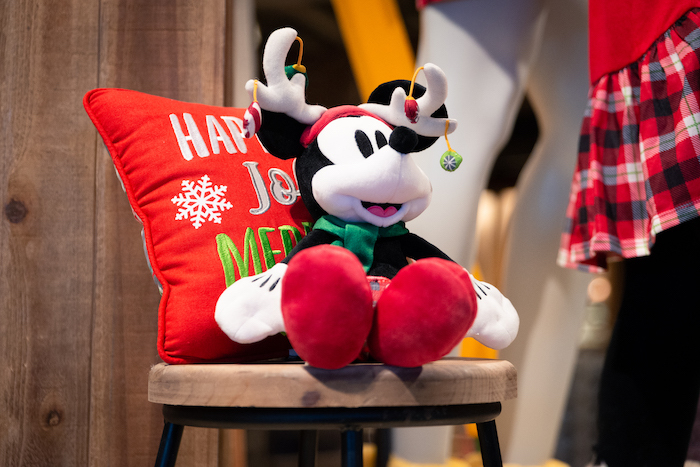 Holiday plush display at World of Disney. Photo by Courtney Reynolds. 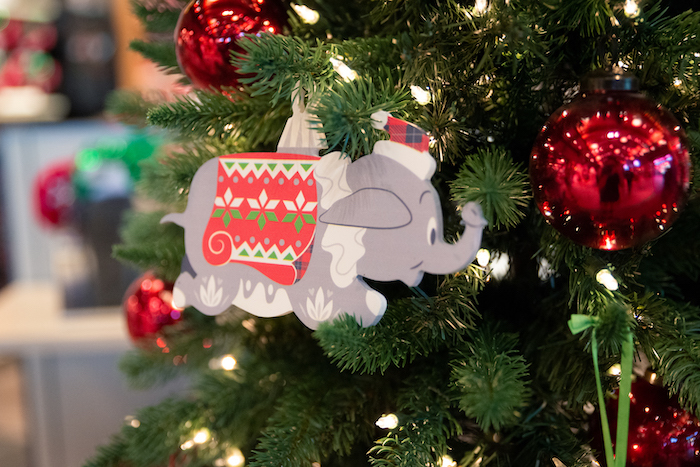 Looking for new holiday ornaments for your Christmas tree? 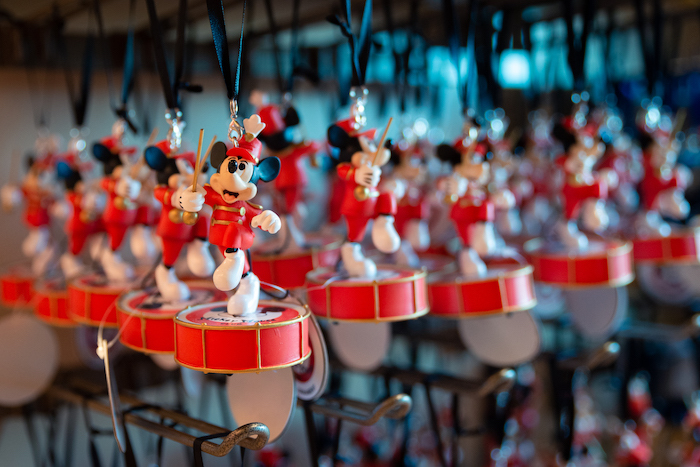 World of Disney has a huge selection of ornaments to choose from. Holiday ornaments display at World of Disney. Photo by Courtney Reynolds. 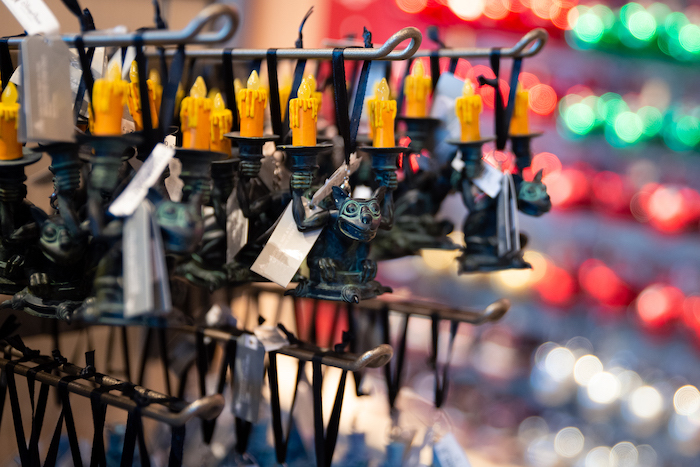 Haunted Mansion ornaments display at World of Disney. Photo by Courtney Reynolds. 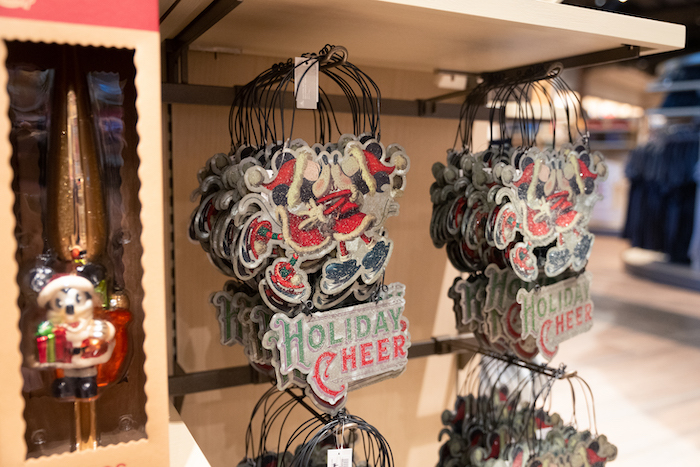 New Mickey Mouse Club ornaments display at World of Disney. Photo by Courtney Reynolds. 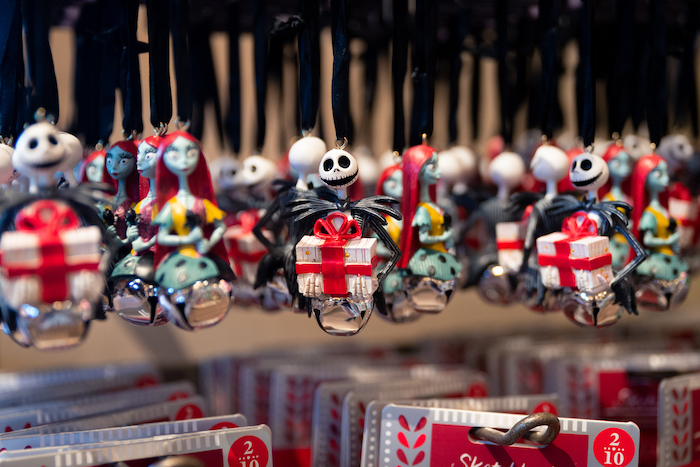 Nightmare Before Christmas ornaments display at World of Disney. Photo by Courtney Reynolds. The biggest draw for me is the holiday apparel. 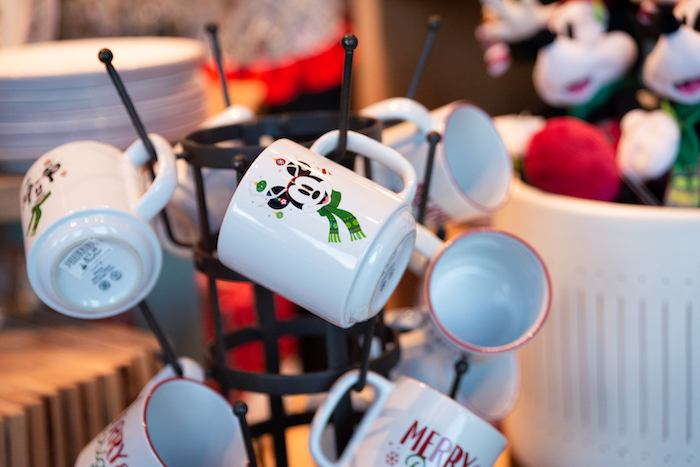 From ugly sweater designs to festive Christmas PJs, this store has something for everyone! 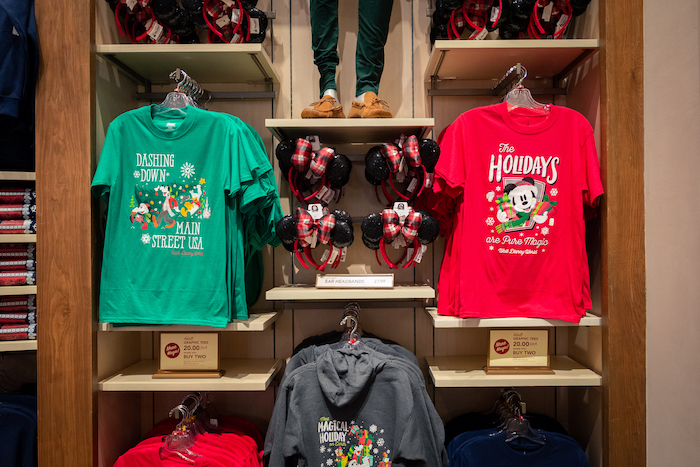 Holiday apparel display at World of Disney. Photo by Courtney Reynolds. 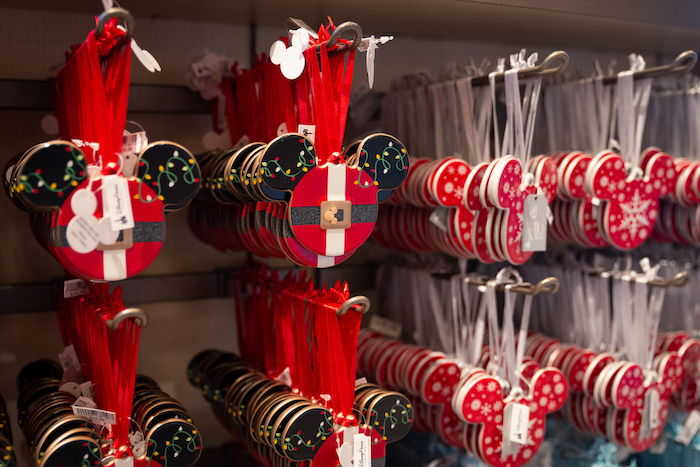 There is also a huge selection of accessories like pins, bags, and holiday-themed ears! 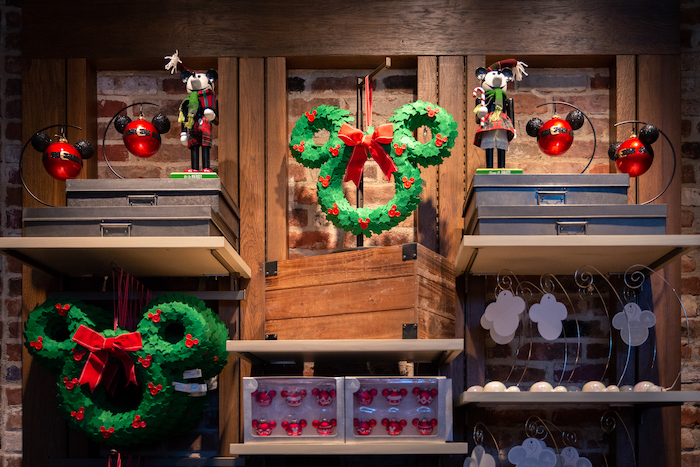 Holiday accessory display at World of Disney. Photo by Courtney Reynolds. 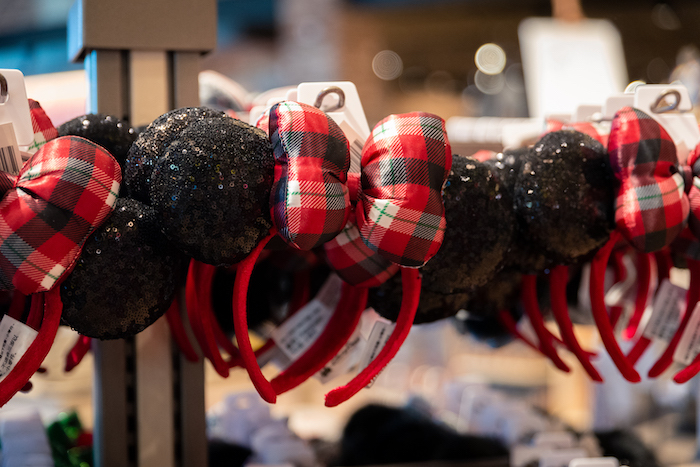 Holiday ear headband display at World of Disney. Photo by Courtney Reynolds. 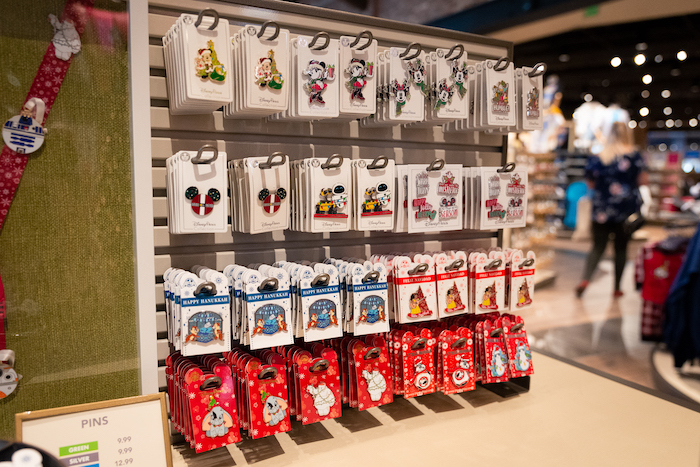 Holiday pin display at World of Disney. Photo by Courtney Reynolds. As I mentioned in our previous post, I love the new look of World of Disney! 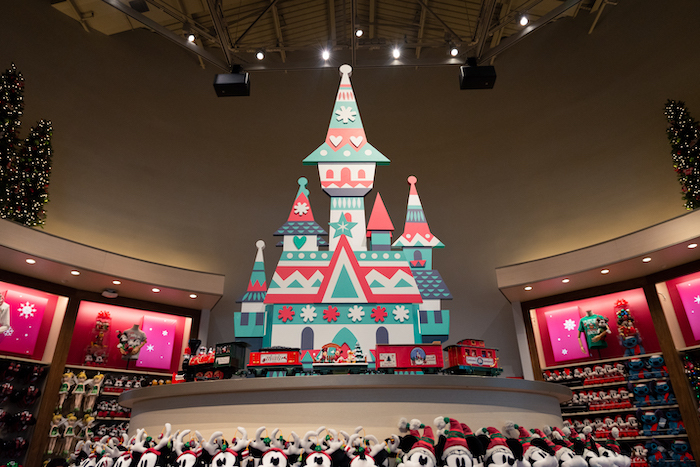 I can’t wait to see what magic is in store for their Grand Reveal, especially in the holiday section above that castle display. We still have a few weeks of the Halloween season but the holidays are fast approaching! What merchandise are you looking forward to most? 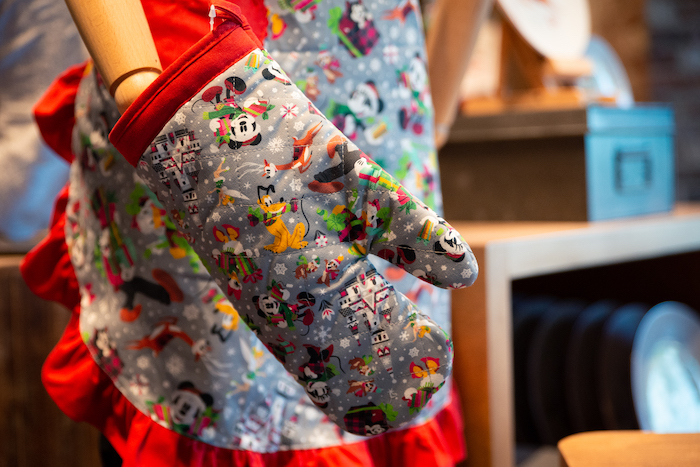 I can’t resist that holiday kitchenware and those cute Christmas PJs! 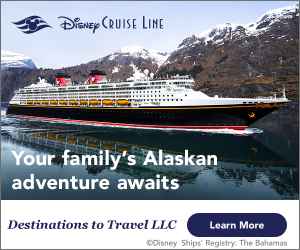 Stay tuned for our coverage of the World of Disney Grand Reveal on October 27th! 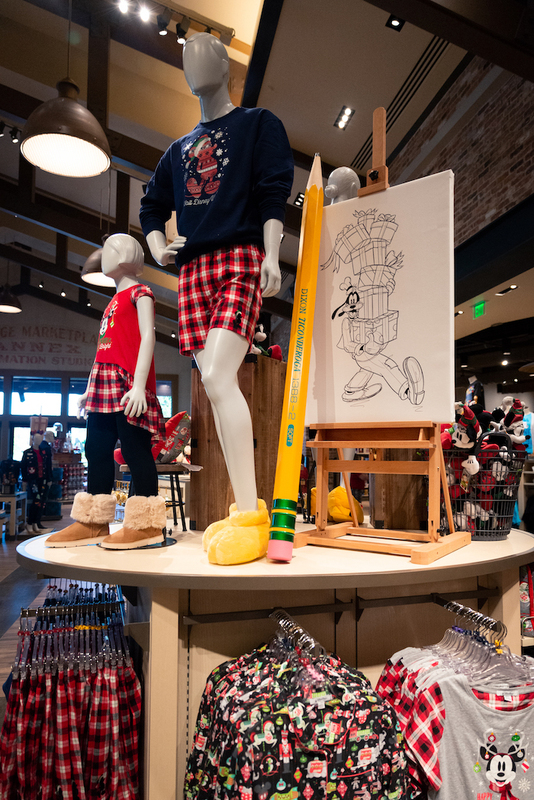 Want to learn more about Disney Springs? Subscribe today!